For a long period of time he’s been mistakenly called Russian or even Lithuanian painter. 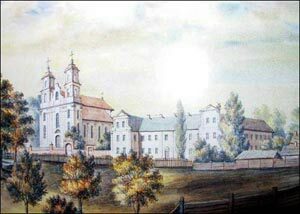 In fact, he was born in Belarus and lived 20 miles south-east from Minsk in Smilavichy village and studied in Minsk and Vilnia*. 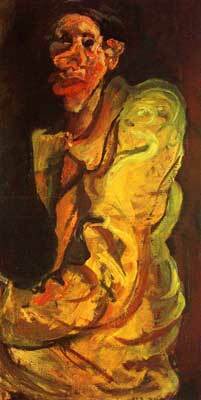 thus in order to be more precise, memories and remembrances of Chaim Soutine have been returned to Belarus while suppressed during the years of Soviet regimen. The exposition is held in the Art Center for Emerging Artists. Unfortunately, the house where lived the future world-known artist was lost. The conception of the exhibition is result of encompassing two crucial milestones in the artist’s life. 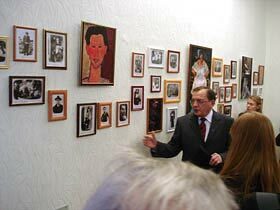 The first part of the exhibition is called “At home: Smilovichi-Minsk-Vilnia”. The ambience of those days was reconstructed using old furniture and displays with information about Soutine’s family, the place he grew up and his studies in Minsk and Vilnia. The second part of the installation, “a Parisian café”, is styled on a typical Parisian coffee house with a bar counter and a couple of tables and chairs. There are a lot of reproductions hung here and there on the walls - the copies of Chaim Soutine’s artworks and of his friends’ paintings, who also were Belarusians by origin: Marc Chagall, Michel Kikoine, Pinchus Kremegne, Oscar Meschaninov etc. Audio guides in Russian, English and French will be available to comprehend in full the Suitine’s world. A lot o work has been done to prepare the exhibition in order to examine the remaining historical records. It is known that Chaim was the tenth child in a poor Jewish family. His father was a tailor. From the cradle the little boy was into drawing and he knew exactly he wanted to be a painter. Drawing was his passion and he was doing it non-stop. Although often it would get him into trouble. While studying in Minsk young Chaim created a portrait of a rabbi knowing that it was forbidden by the orthodox Jewish religion to portray a human figure. He was badly beaten up by the rabbie’s sons. 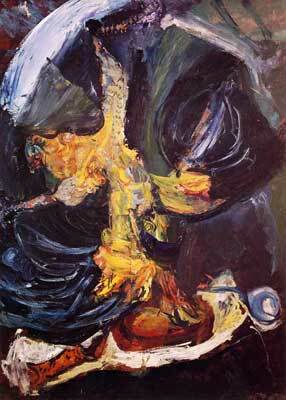 Under the court’s decision Chaim Soutine was awarded 25 roubles in damages. It was his first money he made on drawing, which allowed him to go to Vilnia to continue his studies. When the artist was 20 years old he took a risk and moved to Paris – a city that was a magnet for any artist from every corner of the globe. 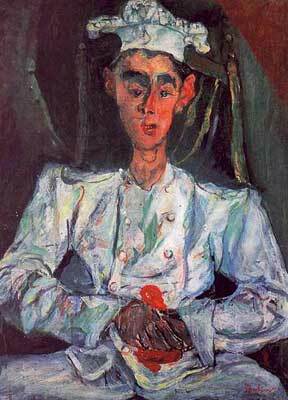 The French period of Soutine’s life ... his ups and downs, friendship with Amedeo Modigliani, persistant creative work … These highlights of his life are well known. 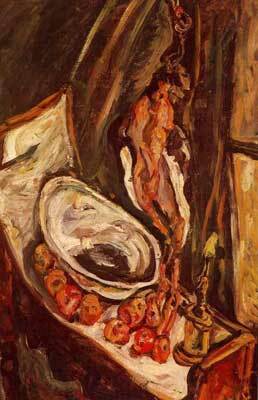 It’s hard to tell what was Chaim Soutine’s attitude towards his Motherland. There are no traces of his reminiscences - and he didn’t seem eager to leave any. 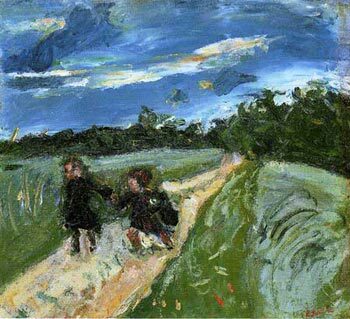 But in one of his latest works “Return from School after the Storm” (c.1939) - most likely named not by the artist himself - one can trace those distinctive tones of simple and soft Belarusian landscape. - “L'Homme au Foulard Rouge”, sold for £8,756,000 and "Nature Morte à la Ray", sold for $5,392,000 at the art sales held by Sotheby's in 2007.